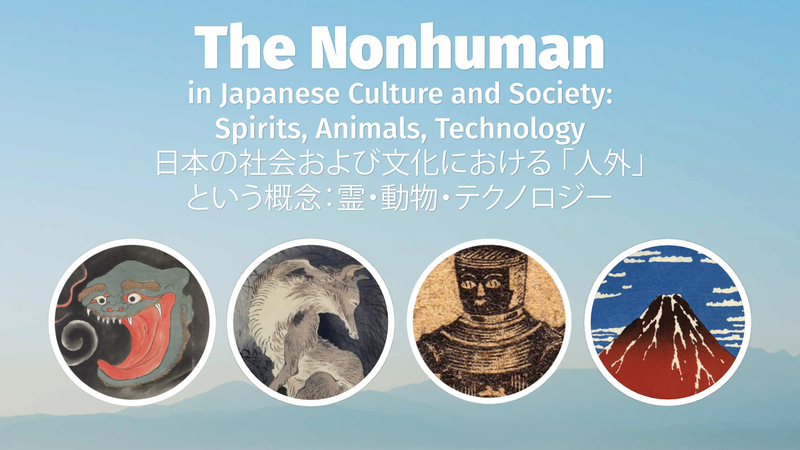 CAPI presents "The Nonhuman in Japanese Culture and Society: Spirits, Animals, Technology," a four-day conference at the University of Victoria featuring a line-up of leading international scholars and artists whose areas of exploration cover a wide array of "nonhuman" issues in Japanese society, including both traditional and popular (particularly otaku) culture, digital media, and social robotics, from animal studies and new materialism to augmented reality, artificial intelligence, and performance and puppetry. "The Shogun’s Silver Telescope and the First English Voyages to Japan, 1611-16"
4:15-5:05pm Talk Barbara Ambros (University of North Carolina, Chapel Hill) "Gratitude and Treasuring Lives: Eating Animals in Contemporary Japan"
Conference organizer Dr. Cody Poulton is CAPI's Visiting Scholar for the period 2017-2022. He is a faculty member with UVic's Pacific and Asian Studies Department and his recent research has focused on Japanese theatre and drama, particularly of the modern period.